nopCommerce is an ASP.NET based open source shopping cart, allowing anyone to set up an online store quickly and with minimal expenses as the solution is free. One key feature of nopCommerce is its pluggable architecture which allows additional functionality to be dynamically added to the application at run-time. This pluggable modularized architecture makes it easy to create and manage your web stores. "nopCommerce a solid eCommerce paltform"
As a web development agency and eCommerce consultant, I have come across many eCommerce platform since 2003. 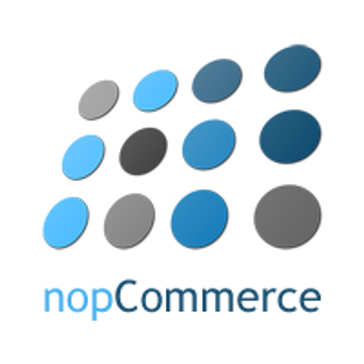 I found nopCommerce is one of the powerful ecommerce solution for the store owner. Be it is simple store or multi-vendor or multistore set up, development and management is super easy. Its plugin based architecture, unbeatable. The new version of nopCommerce 4 is on Asp.NET core 2, with this new release they have improved significant amount of performance on their shopping cart. Moreover this is complete free-to-use. Store-owner can use this full range of software without any sacrificing the features for complete free. A nominal charges will be applicable for copy right removal. The nopCommerce community is growing very fast, too many free and paid plugins are available to use. It's reporting part needs to improve. They have very limited reports, I hope in future release they will add more reports to use for admin users. eCommerce solution for our clients who have online stores. Nop is the greatest! Supports multivendor and multi-site, thus reducing the cost of purchasing additional modules to make it one. Features are great! Very easy to customise, hence no need to use a third party developer! Also, the founder, Andrei M. is supportive,. I could go on and on but just I recommend to just migrate to Nop and enjoy life. That it is only hostable on windows server. As it is built on asp .net, it can only be hosted on specific windows servers. Due to this fact, the cost of hosting is double in comparison to the common linux server. Also need to improve on url as it costs seo to reduce. "Great eCommerce for all small to large size application"
the best thing is its open source complete eCommerce solutions and its using very latest technology of asp.net on each new version release.Also its support pluggable architecture so user can add required extension or create customer plugin to add custom required functionality. i think there is not any big disadvantage of using nopCommerce. I am little bit facing performance issue on large scale application but on each & every new version release it improving the performance. Don't hesitate to choose nopCommerce as your eCommerce solution. Please go on and lets try it as this is a great solution for all types of application. we are working in nopCommerce from more then 5 years and we have developed more then 100 sites using nopCommerce. the main benefits is its open source so we can customize nopCommere as per client needs easily also as its pluggable we can create plugins so its easy to upgrade to new nop version. nopCommerce is fully customizable : lots of settings, large choice of plugins in the marketplace and implementation of your own modules (open-source). nopCommerce is also up-to-date due to its frequent updates. Moreover, the community is growing and the multilingual documentation is exhaustive, so it is easy to solve the problems. nopCommerce uses a chaching system that preloads the website. The first visit may seem slow. Read the documentation and explore the marketplace, you will probably find tips and tricks to meet your requirements. Thanks to nopCommerce I build several e-commerce that are linked to an ERP software. Moreover the attractive themes and visual effects helped me to create an user-friendly interface. NOP gives good insight into consumer purchasing and tracking with different discount codes that our brand uses from ambassadors. NOP is not user-friendly. On the backside of the website all of the landing pages have to be coded, adding product color swatches is not a simple task, and overall there are no pre-loaded design elements. Very old school way of doing web design. DO not opt for this web platform, there are others such as SquareSpace who provide far superior web design elements. We are able to create a streamlined checkout process and arrange various promotions, which has helped increase our overall DTC business. "Building a very customized E-Commerce solution"
Flexibility is second only to building your own solution from the ground up. It is extremely stable given that it is open source, and the community is very active. It's also free, which is crazy because it is also good. It's tough to complain about something that is free, but one pain point as with anything open source is that there are always a few bugs. Some you can live with others may be exceptionally painful to you but if its not hurting others it could take a while before you see it get resolved. Actively follow updates and movement in the forums. Sometimes you will be able to help someone with a problem they are encountering and karma plays a big role in you getting your questions answered when you are in a bind. We use it for E-Commerce. Being open source you can really get into the code and do some cool customization, things that with Shopify or Magento would not be available. That being said, every time you tweak something you own it. So you need to be wary each time a new release is made that your customization will play nice with the upgrade. "Fully functional e-commerce solution for Free"
I like the over all solution, It have all the features required for e-commerce platform. It is open source and have very active community to support. There are huge number of themes and plugins available for Free, nopCommerce is very helpful for startup business and when there is limited budget for the platform. Overall I like the complete solution and it is good to use. How ever I expect more improvements in terms of performance to handle large number of catalogs. Better managing of media resources. It is very good and reliable product, go for it without thinking second thought. We would wanted to quickly setup our online store to make our presence with the limited costs. So have chose nopCommerce for our e-commerce platform and hosted on Microsoft Azure cloud platform and used nopCommerce free plugins to extend some of the functionality. This is how we setup our online store with minimal cost. "Great and very flexible e-commerce software for all kinds of business"
It is full of features for all needs, its great architecture makes it very easy to customize when the company has very special requirements, it is updated and improved constantly, over hundred solution partners all over the world who have developed nearly 1,500 plugins and templates and who can give assistance in the configuration and installation of the e-store, a very active community of 200k users who help other users and provide suggestions and extensions for the enhancement of nopCommerce. It is developed in MS platform. We have been using nopCommerce since 2010 for developing over 70 web stores for all kinds of clients. We and they are very statisfied with this e-commerce solution and the extensions provided by other Nop solution partners. Since 2010 we have been using it for developing over 70 web stores for all kinds of businesses small, medium and large, retailers, wholesalers,, national sales, international sales, etc. It is a pleasure to develop and support stores with Nop for its high quality, reliability and great architecture. * Product Attributes handling of sizes, colors, materials, etc. * Downloadable products such as music, videos, digital products, etc. * Support for simple products like a book or products with variants of presentation, size, color. * Featured, best sellers, latest products, news, etc. "Nice CMS for the small e-commerce web allpication." - Easy to upgrade to new version (NopCommerce team prepared good instruction and DB update scripts, so migration to the newer CMS version is quite easy). Here are disadvantages from my point of view. - If you develop your own plugin, and use some Core services in it, you'll have to fix in after the version update (some method could be missing) (I think it is a bad backward compatibility). - There is no Admin theme support. If you want to choose e-commerce .NET application Nopcommerce is the right one. I am developer. I develop web application using this CMS. I've realized that this CMS is a nice one for the .NET developer. One of my clients migrated to NopCommerce from Magento, because NopCommerce is secured better. "nopCommerce a robust and robust E-commerce platform"
built in Wear house feature. built in return request feature. built in customer role feature. built in Vendor role feature. and above all the Plugin feature to develop a separate assembly consuming nopCommerce Core services. Store wise Price and inventory management is not a default feature yet, in nopCommercce. Not much worked with Promotion engine yet. Product level promo definition need some revision, so that it can also allow to mention category or Manufacturer list to validate instead of mentioning each and every single product, valid for promo. Message tokens are not configurable, they are still hard coded. Online store who Sell Gift Certificates. Online store who sell art crafts, books, Pens, Geometrical equipment, Glue etc. "Impressive open source e-commerce platform"
It is flexible, very well structured, and have a huge community. No big dislikes for nopcommerce so far actually. "The best open source e-commerce system out there!" nopCommerce is a feature rich, open source e-commerce system. It offers a lot of features out of the box including multi-store, multi-vendor, multi-language, product bundles, rental products, etc.. It has an excellent on-site SEO, which includes an optimized markup, SEO friendly urls, etc. Its architecture is clean and easy to work with. There is not much that I dislike about the product, except maybe that it needs a more efficient caching. nopCommerce allows both small and big business to run their online stores for free. "Perfect for modern ecommerce design customisations"
The existenisible nature of the application means unrestricted functionality and using the Razor View engine makes for a customisable front end. There's nothing to dislike, you have to keep up with the latest version, I should say the application should have an auto update function important changes are released. Nopcommerce is easy to get to grips with and had a great international community. Online payments, in-store touch screen shopping. "The best, becomes better every day"
The high configurability and the friendly interface that hides the high technology behind the software. I have adaptation problems with new versions of system to my plugins. The best open source software, with guarantee of a continuous development in the future. nopCommerce solves my selling problem. "Nopcommerce .net / c# on SQL Server"
Caching and bulk product edits. Difficult to manage with million+ products. "Build your eCommerce site quickly"
It has loads and loads of features. They are easy to configure and lots of functionalities provided as a part of plugin ! I feel compared to the size of the product it does not have enough documents. But its good to see the good community support. There should be more documentation available for the customization on MVC source code and support from the team. I have my e commerce site ready with very minimum efforts ! Now only thing i need to do is customization. and some configuration as and when required. NOP is quite an impressive retail platform - easy to use, highly customizable and with a large and active community of users and developers, meaning no new idea or problem is very far from a solution. A minor complaint - but the native structure for discounts is counter-intutive and a bit restrictive. Moving to a cloud-based retail platform with never-ending support has freed up our in-house development team from a seemingly never-ending cycle of support and maintenance - allowing us to address other goals with that time instead. "Best open source .net ecommerce platform"
It is full with features missing in other platforms. The source code is clean and well organized. The nopCommerce platform is easily extendable via plugin's and themes. It always uses the latest .Net technologies. In the past I didn't like the frequent releases but now the platform is very stable with only 2 releases per year. We sell nopCommerce themes and plugins and run our web site on nopCommerce. We benefit from the support of selling digital good that comes out of the box in the nopCommerce platform. Excellent product and easy to use and customize to any developer. It's the only website builder which integrated with full system like Ecommerce, plus ability to create fantastic website during few hours in .Net technology. There is not any disadvantage till now as per me but need to little work on performance but on every release it improving the performance. Website design. Have increased productivity, though this has recently been replaced with a superior product. 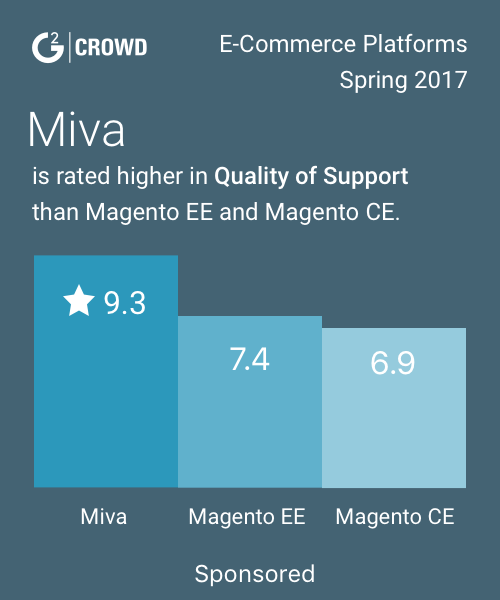 "The best e-commerce software with open source on the market"
everything is great. hope to support MYSQL in the future. hope to support MYSQL in the future. easy to customize and set up e-commerce website for customer. Best softeware for create online shopping and sales online. More dificult for create pligins and install slow! Create sales online more faster and management. "The best ecommerce solution for midsize business"
Good flefibility , free , easy administration and well documented Open Source. We are not IT specialists but with few lines of code we could adapt it for fashion products, B2B solutions and booking websites. "I am Trying NopCommerce and every version make me impressed"
"I am .NET Developer having more than 5 years of experience in .net technologies ." Entity framework which is creating latency problems for database queries. * We monitor all nopCommerce reviews to prevent fraudulent reviews and keep review quality high. We do not post reviews by company employees or direct competitors. Validated reviews require the user to submit a screenshot of the product containing their user ID, in order to verify a user is an actual user of the product. Hi there! Are you looking to implement a solution like nopCommerce?